It's surely one of the biggest announcements of the modern era in animal protection: Ringling Bros. has announced that it will cease its use of elephants in its traveling circus. I've been a witness to and participant in big moments during my three decades of work in animal protection: banning cockfighting in Louisiana to make it the 50th state to end the practice; declaring victory on California's Prop 2 to end extreme confinement of farm animals as the votes streamed in; getting word from McDonald's that it would stop buying gestation crate pork. And this is right up there with them. While the number of animals affected here is fewer than in these victories, or countless others that we've helped to drive, the result here may be as impactful, or even more so. This was a company that fought animal welfare groups at every turn – before city councils, in state legislatures, within Congress, in the courts, and in the press. The company infiltrated several nonprofit organizations by placing spies in them. Its leadership seemed to have limitless resources, and a fierce resolve to keep the elephants so deeply associated with its brand. 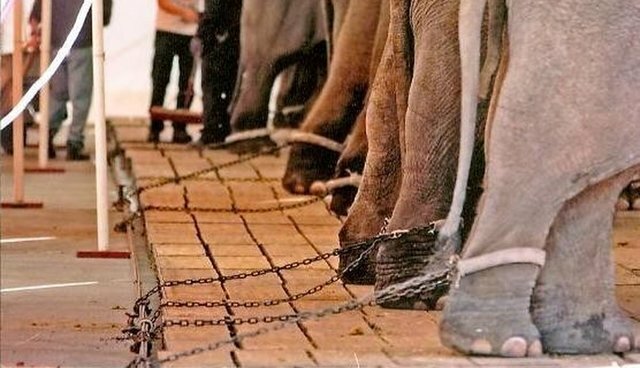 And now, just like that, the company announces it will cease, by 2018, its use of elephants in circuses. Get the confetti and streamers. Grab the kids and the dog. Put on the party hat. Head over to the parade. Jump on what remains of the fallen wall and raise your arms. Ringling Bros. cited the number of cities and counties that have recently adopted ordinances to restrict the use of elephants in circuses as contributing to its decision. And there's no question that the documentary Blackfish, and the enormous public response to the treatment of orcas at SeaWorld was also a contributing factor. But the outcome was ordained by factors larger than any one thing. Movements rise and fall based on their success in winning the hearts and minds of regular people. With South Dakota making cruelty a felony last year, making it the 50th state to do so, Americans across the board have now accepted the notion that cruelty is wrong. With ethologists and other scientists demonstrating, in indisputable ways, that animals have complex social and behavioral needs, we are no longer in denial about the lives and minds of elephants and other animals. And with the world shrinking, in terms of communications and so much information available to us, any business built on the backs of exploiting animals cannot long endure. Smart businesses purge their companies of cruelty and substitute something different, and they move on. The best of them thrive because they can then tap into the love and appreciation that so many millions of Americans have for animals. The HSUS has been a bitter opponent of Ringling Bros. for many a year. We've never liked, nor accepted, what they do to animals in their care. But kudos to their leaders for recognizing that as the world changes, they can embrace that new world, instead of fighting it forever. Good for them for embracing it, even if it's later than we'd wished, and we urge them to retire their use of all wild animals in their traveling act. But today, they have taken a big, hearty, important step toward joining the humane economy, and we celebrate it.